Will be at WonderCon (Anaheim, CA) March 29th - 31st, 2019 (2 weeks away!) All three issues of The Mighty Riff will be on sale with special trading cards, along with the debut of the first The Happy Middle book compilation. Drop by for a fun chat with moi (Brian Coles) and my amazing wife Rose Coles (Editor). 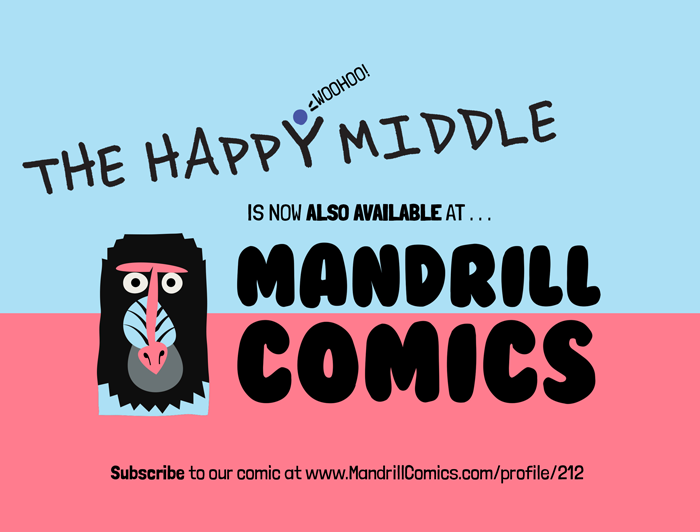 We'll be at Booth SP-57 in the Small Press area under "Collidescope"! 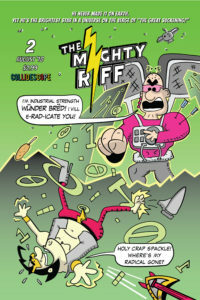 ReviewFix Gives “The Mighty Riff” A RAWKIN’ Positive Review! Donna-Lyn Washington at ReviewFix.com has reviewed The Mighty Riff! 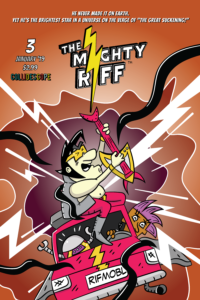 THE MIGHTY RIFF # 2 OUT NOW! BIG ADVENTURE THIS NOV 3rd and 4th! Please join me at Big Adventure is Costa Mesa, CA 11/3/-11/4/18. 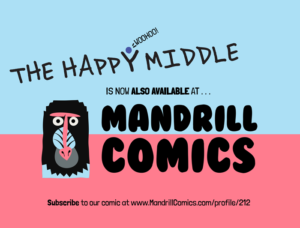 I’ll be selling The Mighty Riff™ comics (with exclusive trading cards) and art prints, The Happy Middle mini-prints and always up for a great chat! So swing on by! 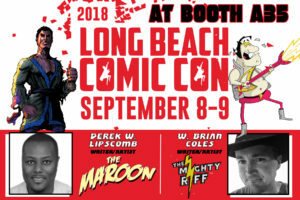 LONG BEACH COMIC CON 2018 Here We Come! Drop by for a friendly chat with a couple geeks! Also, special deals and more.